More information is starting to emerge about Nokia's Comes with Music service, due to launch sometime next year. This is the service that will let you download as many tracks as you're physically able to, free of charge, for a whole year. When the year runs out, you can keep the music forever. However, it seems tracks will be supplied as DRM-protected WMA files, and will only play on the device and computer you first signed up to the Nokia Comes with Music service on. You'll also have to enter a PIN code (both on your handset and computer) every time you download a track, Engadget reports. Songs will have a 192kbps bitrate, but some older music may be delivered at 128kbps. And tracks will automatically be synched between your Comes with Music-enabled handset and your computer. Unfortunately, should you want to burn music onto CDs too, you'll have to pay extra - how much has not been disclosed. 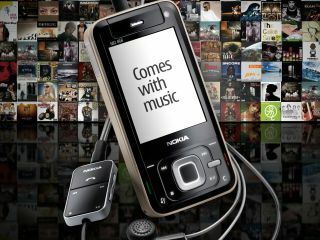 Nokia has yet to announce any Comes with Music-compatible handsets, or how much they will cost. At last week's Nokia World 2007 show in Amsterdam, a Nokia representative told us the pricing would be 'competitive'.